33 LIBERTY STREET NEW YORK, NY 10045. USA. 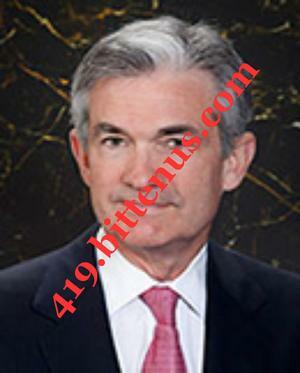 NOTIFICATION OF CREDIT FROM BANK FEDERAL RESERVE BOARD NEW YORK USA. Further more, they Federal Reserve Board New York City NY Branch have finalized to make sure you confirm your compensation payment as well. the Bank is very much aware that you have fallen into Wrong Hands so many times by Hoodlums and touts who go about scamming innocent people by claiming to be who they are not and thereby Tarnishing the image of this wonderful country. They Federal Reserve Board New York City NY Branch wish to notify you that it is obvious that you have not received your Funds which is now in the amount of $1.5 USD (ONE MILLION FIVE HUNDRED THOUSAND United States Dollars) as a compensation award to you, Due to past corrupt Governmental Officials who almost Held your Fund to themselves for their selfish reasons and some individuals who have taken advantage of your Funds all in an attempt to swindle your fund which has led to unnecessary delay in the receipt of Your Funds and so many losses from your end. Please, you should know that Argument or delay can not do any thing or solve this problem if you can not find solution to solve this matter by trying your possible best for the final conclusion of this Transaction and send only $145 Right Away it means that i have no Other Option than to make down my Report. kindly get back to him as well with the information and also be advice to reconfirm your full Delivery Address to avoid any Wrong Delivery of package. Mr. Rafael Pichardo The Delivery Agent USPS Phone number.+1 (657) 214-3479 you can call me or send him an sms, but i prefer sms because I'm always busy in the office and i can`t be able to pick calls. Note: Everything has been taken care of, including Tax, Custom Paper and Clearance Duty. Note that you have been advice to urgently proceed to the Western Union Number MTCN only. and send the fee of $145 Dollars to the payment Receiver Agent Rafael Pichardo, State: Florida USA, where the delivery will take off from and get back to us with the MTCN Number. Please bear in mind that i have tried all my possible best here to make sure that you received your fund, so note that you will see me as an honest Man of God, i can never ever lie to you neither to betray you, i have not practice lies in my life once before. i want you to believed me, try and make the payment as soon as possible and received your fund. Your package will be sent to you within 2 working days upon confirmation receipt of the fee. We are so sure of everything and we are giving you a 100% money back guarantee if you do not receive payment/package within the next 48hrs after you have made the payment for shipping. Finally, this is very urgent and important the bank are waiting to hear from you today as soon as you send the money to the proper information given to you over this payment, waiting to hear from you with Good News in other to proceed further. He Was Editor-in-Chief Of The Georgetown Law Journa . Leadership Bank Federal Reserve Board helps build strong communities by creating opportunities for people - including customers, Shareholders and Associates-to Fulfill their Dreams. Subject: Are you aware of the change of account? The total amount confirmed is $23,000,000.00 USD. The total amount confirmed is $6,000,000.00 USD.